McGown & Markling represents clients in a wide array of labor law areas such as wages, health benefits, retirement security, employment rights, safety, and health issues. And we assist management in establishing pre-employment and employment policies and practices. 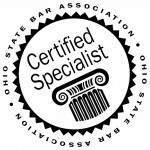 We also represent clients in managing and responding to unfair labor practice charges and proceedings; negotiations of collective bargaining agreements; arbitrations of grievances and contractual disputes; labor strikes, lockouts, picketing, boycotts, and other concerted activities; and federal and state court injunction proceedings. In the event of a lawsuit or administrative charge, our litigation team has tried numerous labor issues in both federal and state courts.